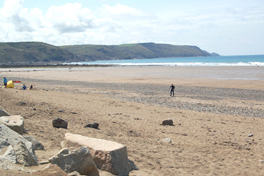 Widemouth Bay has about 1 mile of classic sandy beaches and is situated a few miles south of Bude beach resort. 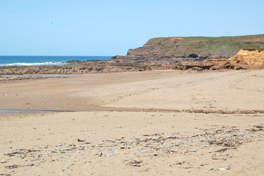 Some prefer Widemouth Bay for its quieter aspect as there is no discernible village but merely the occasional small grouping of houses along this long stretch of cliffs and beach. 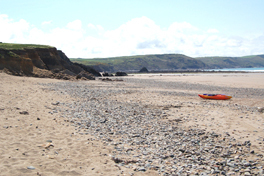 On the beach are two quality cafes (The Beach Cafe and Black Rock Cafe) and also facilities such as surf hire, Widemouth Bay being a surfer's favourite. 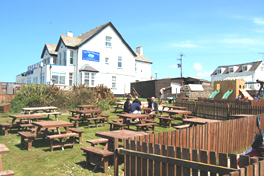 The Bay View Inn does excellent food, with an outdoor seating area overlooking the sea. The Inn has a small children's outdoor play area usually with a jumpy castle/slide etc or similar. 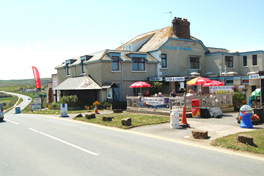 The excellent Beach Hotel Restaurant is well known for its lobster menu; in fact there are 3 other good restaurants at Widemouth Bay, including 'Elements'. 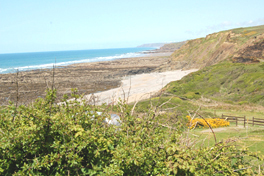 Stunning clifftop and beach walks. 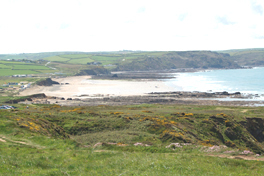 There are various footpaths, of special interest the footpath across the fields, joining up with old Bude Canal and then continuing along the canal and Bird Nature Sanctuary into Bude town. 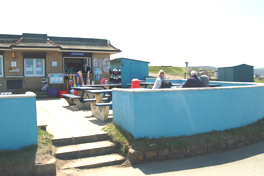 As you enter Bude there is a new tourist office in the main car park where you can obtain guides to footpaths and local attractions.